Do you remember Google+? It was Google’s attempts to create a social media platform to rival Facebook and, while it enjoyed a brief period of ascendancy, never got anywhere near its more illustrious rival. Well, believe it or not, Google+ is still going. Or rather it was, until earlier this week when Google announced it was pulling the plug. And, as has been typical of most Google announcement of late, it is a privacy issue which has sparked the decision. On Monday, Google announced in a blog post that they were ‘sunsetting’ Google+ for consumer users after identifying a bug which compromised the personal data of some user’s accounts. The announcement rather downplayed the scale of the issue. The bug in question reportedly exposed significant amounts of user data including their name, email address, occupation, gender, and age. 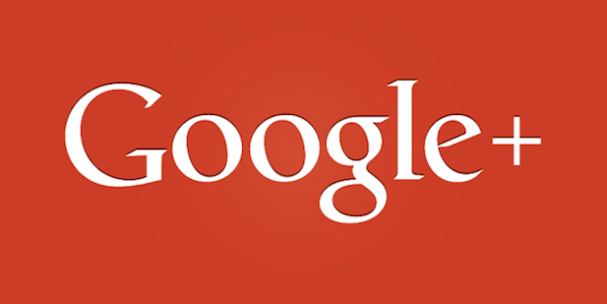 Furthermore, more than half a million Google+ accounts are thought to have been affected. But it gets worse. Google discovered and patched this bug back in March. However, they have only publicly announced it this week. That means they kept a vulnerability which affected more than 500,000 Google+ users under their hats for more than six months. To say that is not good practice is a huge understatement. And the reason why they didn’t go public with the issue is frankly scandalous. According to the Wall Street Journal ($), which first reported on the breach and has spoken to insiders in the know, Google opted not to disclose the security issue due to fears of regulatory scrutiny. In other words, at a time when Facebook was getting a media mauling over their data leaks to Cambridge Analytica, Google decided it was more important to protect their corporate image that the personal data of their users. In their blog post, Google rather hollowly claimed that the bug didn’t meet any of its thresholds for disclosure and insisted none of the data was misused. But this seems hugely disingenuous and does beg the question how many user accounts need to be compromised before those thresholds are met? Google+ will not be missed by many. While it still had a few loyal users, Google has been systematically breaking it up for some time now and by their own admission, 90% of user sessions lasted less than 5 minutes. But there are plenty of people out there who will have set up a Google+ account in the past and will now be panicking over whether their data has been compromised. Meanwhile, an internal research document from Google, which has been leaked to Breitbart News, has given an insight into how Google sees itself censoring content in the future. It is rather chillingly titled ‘The Good Censor’ and lays out how Google wants to reassure users that they are both protecting freedom of speech and blocking ‘harmful’ content. It is a balancing act that all online platforms are faced with these days, but Google’s approach seems to be an attempt to try and have their cake and eat it. By pandering to the relentless political and media pressure to restrict access to content they don’t like, Google is inherently undermining free speech online. It can’t have it both ways. There is no such thing as a ‘Good Censor’. Google is either a censor or it isn’t. Perhaps the most telling thing about the leaked document is the complete lack of any references to Project Dragonfly, Google’s plan to create a search engine which facilities the online surveillance and censorship programmes of the Communist regime in China. The Chinese market is a lucrative one and Google wants a piece of the pie, but up until now, they have not been willing to compromise their principles to get it. But it seems that is all about to change if they hop into bed with the world’s biggest authoritarian regimes. Any faint hope Google might hold of being seen as a ‘Good Censor’ will be fatally undermined if they are working together with the rulers of a country which currently has more than a million Uighur people locked up in concentration camps. Last week, we reported on a good news story from Google after they launched an anti-censorship app. After the recent dire headlines the company has faced, we hoped they had turned a corner. These two stories have firmly dashed those hopes and Google is rapidly gaining a global reputation as yet another big tech company that will do anything to make profits, including compromise the privacy of their many users.